For two decades, the characters of PBSs award-winning children’s series ARTHUR have been modeling prosocial behaviors, emphasizing the importance of communication, and addressing the prevalent problem of bullying for kids. WGBH continues its efforts in these areas with a new digital program Arthur Interactive Media (AIM) Buddy Project, aimed at promoting social, emotional, and character development in elementary school children. 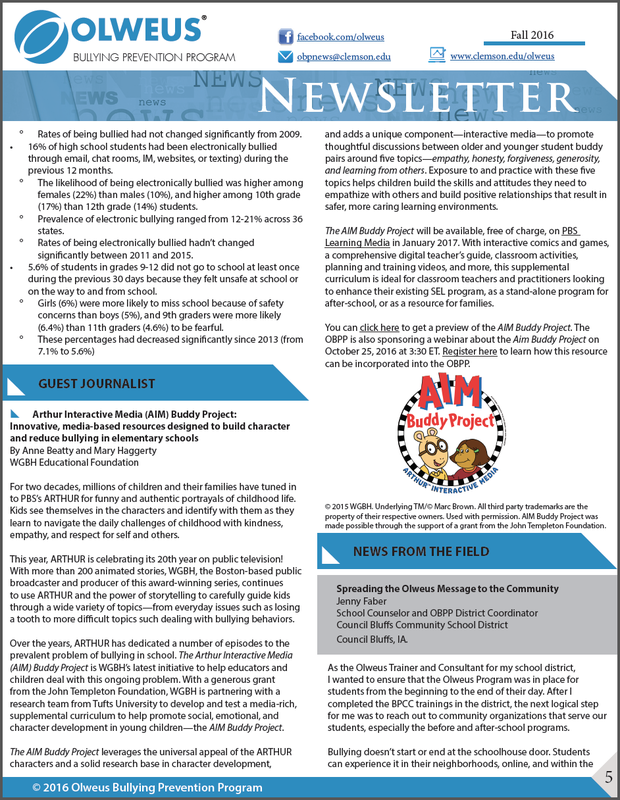 Read about it in the Olweus Bullying Prevention Program Fall newsletter. Click on the image. “So Funny I Forgot to Laugh” was selected as a finalist in interactive media category for the prestigious international award for children’s media. Review of the AIM Buddy Project 2014 pilot program that focused on empathy and bullying (AIM interactive”So Funny I Forgot To Laugh”) in MA school districts.